As the new year swings into action, so too is MinRex Resources (ASX:MRR), a junior gold explorer with recent gold nugget discoveries and growing Project momentum in Australia’s East Pilbara region. MRR conducted its mid-December site inspection of its basket of projects, to be acquired this year. As part of the nuanced company changes currently ongoing, MRR also welcomes Artemis Resources (ASX:ARV) to its shareholder register. 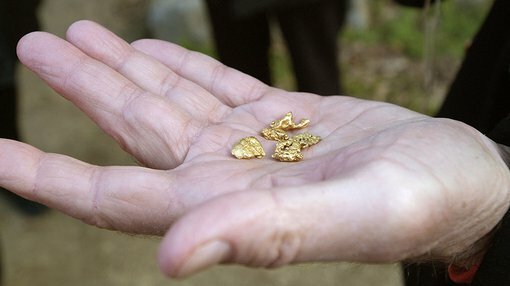 Significantly, MRR has announced the discovery of six gold nuggets totalling 22.7 grams, recovered from the P45/3040 tenement. In further results, rock chip samples were collected from the second Marble Bar tenement (P45/3039) and will be analysed in the coming weeks. The gold nugget samples announced today were not included in MRR’s previous exploration which provides scope for additional gold resources to be added to MRR’s portfolio. Given the lack of historical production data, MRR hopes to establish a first-mover advantage in this particular area. Having extracted a series of rock-chip samples, MRR is awaiting chemical analysis results from a third-party laboratory based in Perth. Another potentially significant factor MRR is closely monitoring is its close proximity to gold occurrences on the adjacent Haoma Mining (ASX:HAO) tenements. HAO is a gold explorer operating adjacent to MRR, which puts much of MRR’s exploration work along strike from HAO. Additional work has been recommended including excavation of a bulk sample from the Marble Bar tenements along with detailed geological mapping once the historical data compilation is completed. The data compilation is expected to commence soon after MRR receives shareholder approval to proceed with further exploration. MRR requires shareholder approval for its upcoming activities, expected to be received at MRR’s General Meeting, to be held on January 19 2018.